Dairy farmers want U.S. regulators to banish the term "soy milk," but documents show even government agencies haven't always agreed on what to call such drinks. NEW YORK (AP) — Dairy farmers want U.S. regulators to banish the term "soy milk," but documents show even government agencies haven't always agreed on what to call such drinks. The U.S. Department of Agriculture "fervently" wanted to use the term "soy milk" in educational materials for the public, according to emails recently released in response to a lawsuit. That irked the Food and Drug Administration, the agency that oversees the rule defining milk as coming from healthy cows. It's "not a trivial decision," the FDA warned in one of the 2011 emails about the USDA's desire to use the term. The sour history over who gets to use "milk" reaches back to at least 1997, when a soy foods group petitioned the FDA to recognize the term "soymilk." A couple of years later, the group pointed out that the FDA itself had used the term. Even now, the National Milk Producers Federation says it's working to build support for legislation directing the FDA to enforce the federal standard. The dairy group says both "soy milk" and "soymilk" are inappropriate ways to describe non-dairy drinks made from soybeans, and that the one-word version is just an attempt to get around the definition. There are plenty of other food names at issue. A European Union court recently ruled that a company named TofuTown can't describe its products as "cheese." U.S. rice producers have railed against "pretenders " like diced cauliflower and said they may take the issue to the FDA. But the FDA hasn't even always been able to get other agencies to go along, as illustrated in the emails obtained by the Good Food Institute, which advocates alternatives to industrial animal agriculture. The GFI sued the FDA for public records relating to soy milk. The email exchange started when a nutrition adviser at the Department of Health and Human Services alerted the FDA that the USDA planned to use "soy milk" in educational materials about dietary guidelines. "USDA staff are preparing consumer publications and fervently want to use the term 'soy milk' because beverages are widely marketed this way," the adviser wrote. The FDA bristled and provided the federal definition of milk as a "lacteal secretion" from cows. Therefore, the FDA declared that referring to soy, almond and rice drinks as "milk" would be incorrect. It suggested the other agency say "beverage" or "fortified beverage." When that didn't put the matter to rest, the FDA warned that the USDA's use of the term could undermine the FDA's regulatory authority. That apparently didn't stop the USDA, either. "They are adamant about using the term in consumer publications," the nutrition adviser wrote. 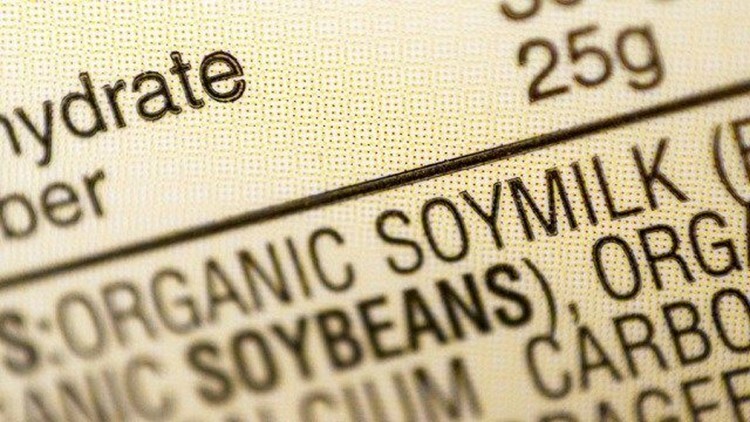 The USDA had indicated that it would use "soy beverage" in official policy documents, but it wanted to use "plain language" in materials for the public. Despite the federal regulation, others may also consider "soy milk" an acceptable term. The Merriam-Webster dictionary doesn't limit milk's definition to cows, saying it is "a fluid secreted by the mammary glands of females for the nourishment of their young." It also allows for a "food product produced from seeds or fruit that resembles and is used similarly to cow's milk." Asked how the spat was resolved, the USDA provided materials from 2011 that use both terms by referring to "soymilk (soy beverage)." The agency also uses the term elsewhere, including on its "Choose My Plate" website, which currently says "calcium-fortified soymilk (soy beverage)" is part of the dairy group. The National Milk Producers Federation says the USDA's usage of the term shows even other government agencies are confused about how to describe soy beverages in the absence of consistent enforcement by the FDA.